Towards the end of October last year, a report published by the World Health Organisation caused an upheaval in the food industry. According to the study, consumption of read and processed meats was related to a higher risk of developing cancer. The impact of the statement sent shockwaves through the entire food sector and caused a decrease in sales for this type of products. Carlos Serrano, president of Spain´s National Association for Meat Industries (ANICE), analysed how the sector reacted to this crisis in a recent interview in Restauración News. Upon publication of the WHO report, we observed a strong decline in sales in categories such as packed sausages (-21,4%), processed meat products (-17,8%), cooked products (-14,5%) and dry sausages (-10%). Furthermore, there was a consumption shift towards other meat products derived from sheep, goat, turkey or chicken, all of which are meats with lower fat content. However, a week later the impact started to fade down, with slower decreases and a gradual recovery of the trend that two weeks earlier had come to a halt. According to Carlos Serrano, president of Spain´s National Association for Meat Industries (ANICE), it was clearly the case of a “disproportionate and alarmist announcement”. “Luckily, in our country we have witnessed an exemplary attitude with plenty of common sense from all parties: consumers, health professionals, private health companies, the media, etc., which have prevented a calamitous situation. We really have to be grateful for the prudent attitude from our society as a whole. And at the same time we must demand a sense of responsibility to these institutions and international organisations to prevent this type of situation from happening again”, reflects Carlos Serrano in the interview in Restauración News. 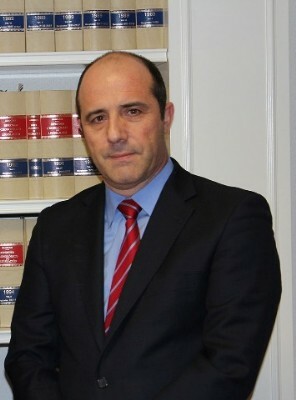 Carlos Serrano also gave the keys to maintaining the relevance of meat and derived products in the basic national diet, in and out of homes, despite the sensationalist headlines and the growth of new trends when it comes to eating: new product development, training and communication efforts and a decisive push towards quality processes. Eurofrits couldn´t agree more. For that reason we have trusted the quality national product to develop our Chefburger range, Premium Hamburgers made exclusively from 100% national origin beef meat with no added sulphites or colorants. We guarantee its 100% beef through a strict prime matter control with DNA checks. Read the complete interview in Restauración News.